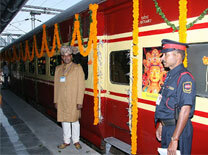 Mahaparinirvan Buddhist Train Tour, Mahaparinirvan Express Buddhist Train . Mahaparinirvan is the highest and the most complete state of Nirvana or ultimate peace. The whole concept of Buddhism revolves around ‘Mahaparinirvan’ which is the great awakening. In his last discourse, Mahaparinirvan Sutta, Lord Buddha himself illustrated the need to visit the four most important pilgrimage sites in Lumbini, Bodhgaya, Sarnath and Kushinagar while walking on the path of Dhamma. 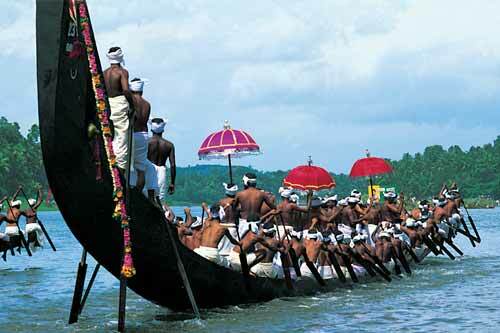 Since then, millions of pilgrims have found their ultimate bliss during the spiritual Buddhist pilgrimage. It is a mission of the sentient Buddhist followers and travellers to visit the land of Buddha once in a lifetime. 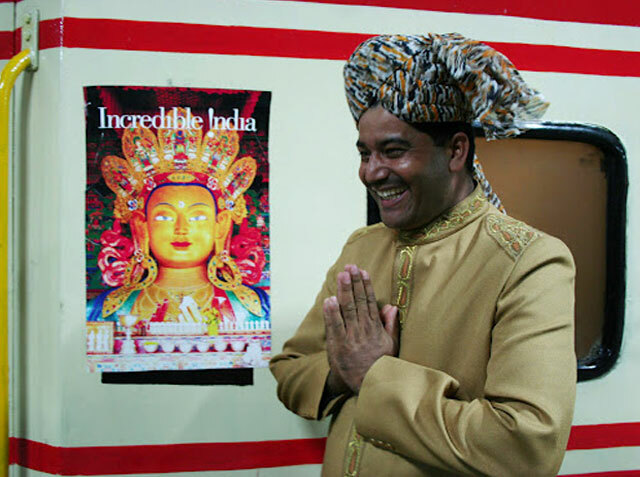 This is done to gain merit and take inspiration from the spiritual master, Gautama Buddha. 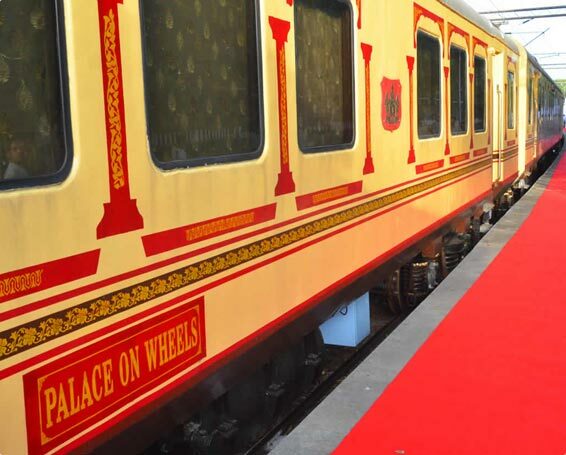 "Mahaparinirvan Express – A week of salvation on the blissful Buddha land "
Nowadays, a special Buddhist train called Mahaparinirvan Express is also running effectively to provide the beneficial travelling experience in the Buddhist Circuit. 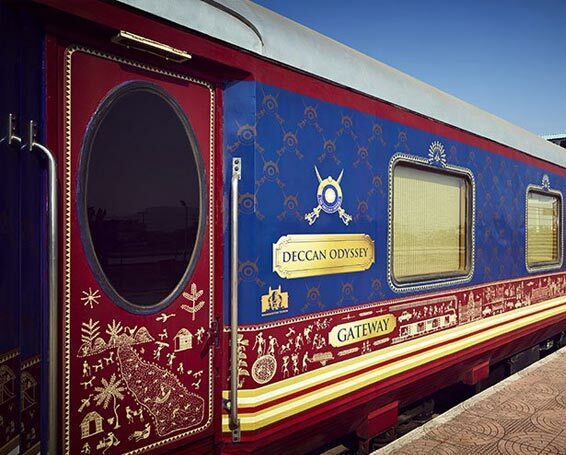 Created on the lines of the Palace on Wheels, this exclusive train brings together the prominent Buddhist heritage sites in an exclusive way. The week long itinerary of the world’s only Buddhist train presents the destinations associated with the birth, enlightenment, first sermon and final nirvana to the visitors. During this itinerary, the travellers visit numerous temples, pagodas, stupas and viharas that are seen with great reverence worldwide. 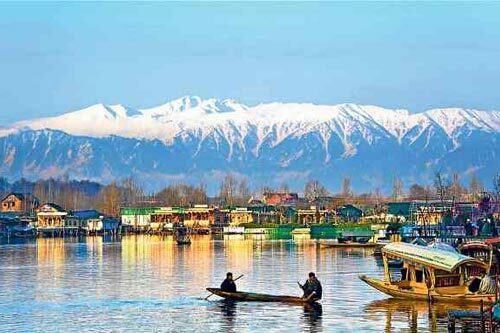 In the past six years, this train journey has gained prominence among the Buddhist followers and travellers as the best way of embarking the Buddhist pilgrimage. 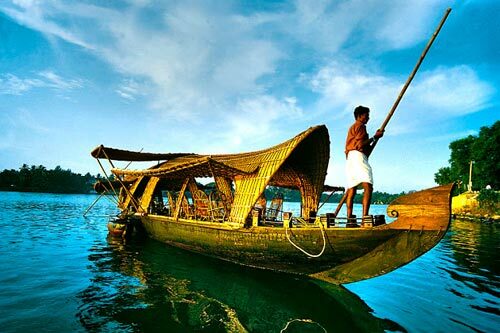 The passengers are assured of the perfect on-board and off-board service with the presence of dedicated staff members. 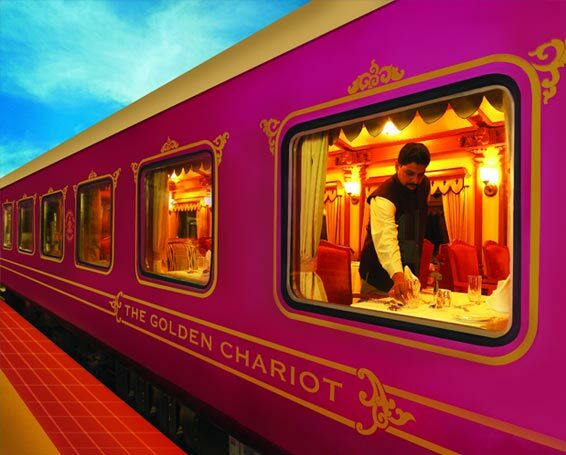 The preparation of special meals as per the taste of the passengers also lends a distinct edge to the service aboard this Buddhist train. 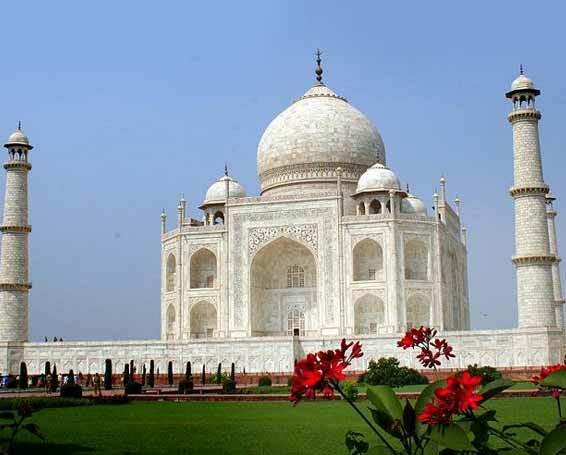 The excursion to the Taj Mahal at the end of the special Buddhist train tour also lends a distinct edge wherein the respected passengers get to relive the marvellous opportunity of gazing the wonder of Taj Mahal. Day 1. Saturday, Delhi – Departure 16:00 hrs. Welcome to the Mahaparinirvan Express, the journey where you will find your own soul and identity amidst the bliss and peace of the Buddhist Circuit. 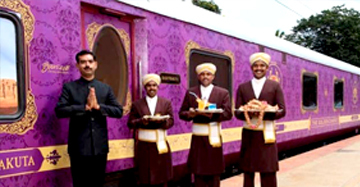 Reach the Safdarjung Railway Station in Delhi by 15:00 hrs and gather for a traditional reception based on India's welcoming ethos. 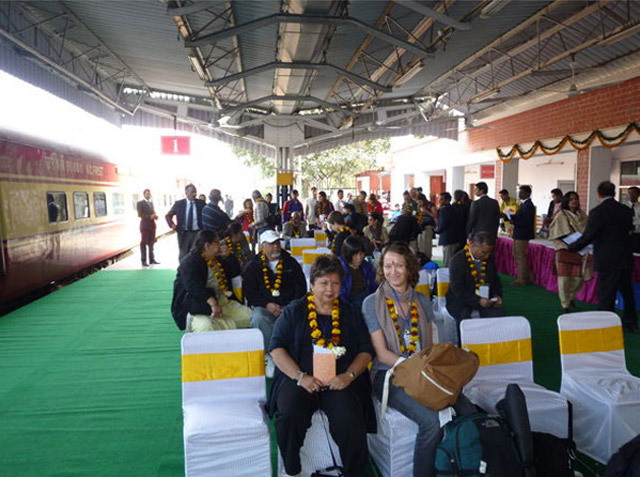 Receive a garlanded welcome and a vermillion Tilak and welcome drinks as a gracious mark of beginning the Buddhist train tour. After the formalities are over, get an assisted check-in to your respective coaches. Leave for Gaya at 16:00 hrs. Dinner on-board. Wake up to the Buddhist chants this morning as you reach Gaya, the gateway city to Bodhgaya. After breakfast, disembark the Mahaparinirvan Express and hop in the AC coach which will take you to Bodhgaya. 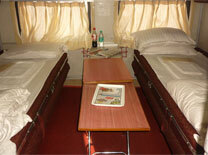 Upon arrival, check in to the hotel for overnight stay in Bodhgaya. This is the sacred city where meditating Prince Siddhartha attained enlightenment and became the Buddha. Here, the offshoot of the original Bodhi tree, under which the lord received enlightenment, is present inside the Mahabodhi Temple Complex. This is a recognized world heritage temple complex enshrining the seven landmarks of Buddha’s meditative trance. The temple, illustrating the 2,600 year old Buddhist heritage is the epicenter of Buddhism in India. Even there are many monasteries in the city set up by many other Buddhist countries here, which are also worth a visit here. 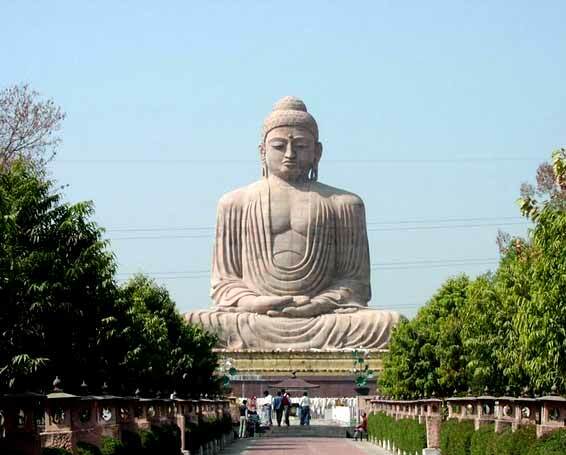 The 80-foot Buddha statue is another great attraction of this city. Lunch, Dinner and overnight stay at the hotel. Highlights of Day 2 - Visit the seat of Buddhism in Bodhgaya. In the early morning, get ready for another day enriched with excursions enroute Varanasi, the city of lights and learning. Have early morning breakfast and tea before checkout at the hotel. Board the bus and head towards Rajgir, where the kings like Bimbisara and Ajatshatru ruled during the times of Lord Buddha's growing popularity. Surrounded by river Banganga and hills, Rajgir is an important Buddhist pilgrimage site. Here, the lord spent twelve years and gave many enlightening discourses atop the Griddhakutta or Vulture's Peak. 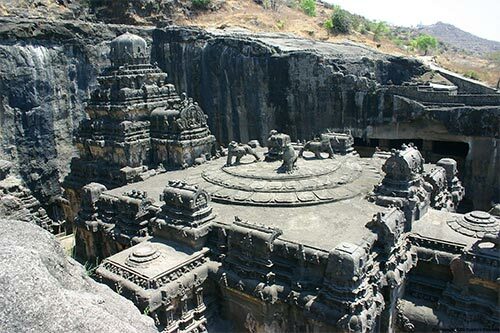 Also, here the first Buddhist council took place at the Saptaparni caves. At 12:30 hrs, you will first head towards a restaurant for lunch. Post lunch, drive towards Nalanda 'the giver of knowledge.' In its heydays, it was the most renowned university in the world where many scholars and students stayed and learnt diversified disciplines. 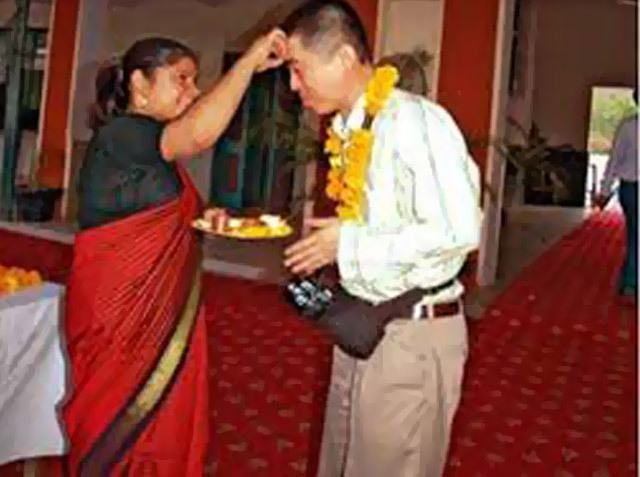 Hiuen Tsang & Fa- Hien also visited Nalanda in their lifetime in their search of knowledge. 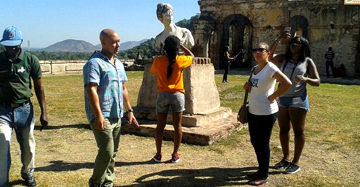 Now, the university is in the ruins, but worthy of a visit. Also visit Nalanda Museum during the day. 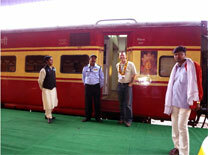 Later, depart back to Gaya for further journey and leave for Varanasi aboard the Buddhist train. 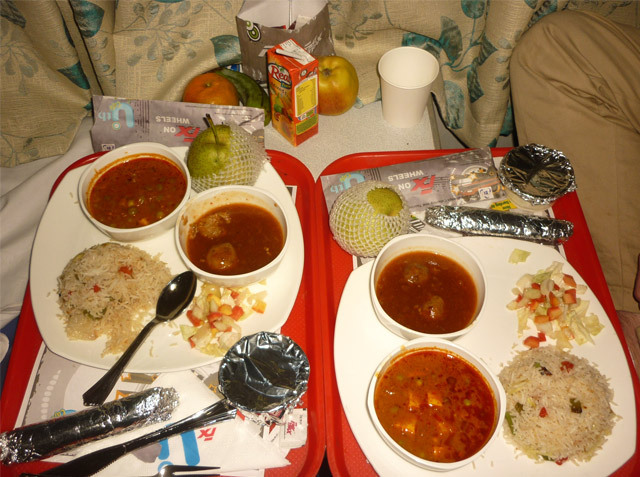 Dinner and overnight on board. Highlights of wild morning of Day 3 - Visit the towns of Rajgir and Nalanda, closely knit with Buddhist heritage. Wake up this morning in the anticipated arrival of Varanasi on Day 4. 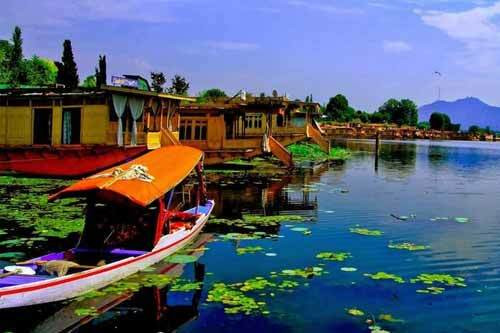 This city is considered older than time, and features the mighty River Ganges, riverfront Ghats bustling with rituals and rich Indian culture. Upon arrival, proceed to the hotel for wash & change and breakfast only. After this, move towards the second sacred Buddhist pilgrimage site, Sarnath. Here, at the deer park Lord Buddha after enlightenment gave his first sermon to his first five followers. He also turned the wheel of law, now known as Dharamachakra Pravartan. In this sermon, he explained the way to the end suffering and attain knowledge through the Middle Path. Pray in front of Dhamekh Stupa and Chaukhandi Stupa here in Sarnath. Also a visit to the Sarnath Museum is scheduled wherein apart from other artifacts; you will also get to see the inspiration behind the national emblem of India, the lion capital atop the Ashokan pillar. Post lunch, return to Varanasi and indulge in some shopping here. 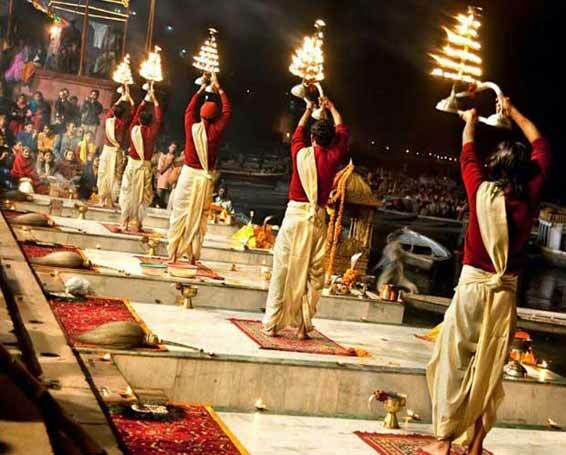 In the evening, visit the famous riverfronts for the colossal congregation around the Ganges Ghats as evening Aarti. After this, return to the Mahaparinirvan Express for an onward journey to Gorakhpur. Dinner and overnight onboard. Wake up to the realities of mortal existence i.e. death at the place where Lord Buddha attained final Mahaparinirvana. Early morning, leave the train at Gorakhpur. 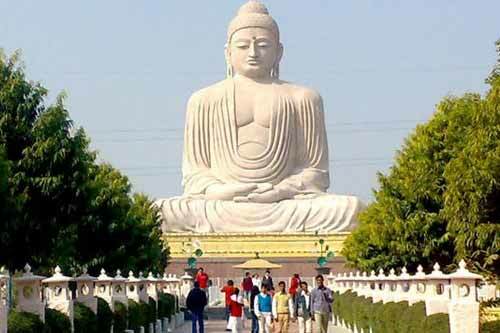 Proceed to the third important Buddhist pilgrimage site, Kushinagar via coach and check in the hotel upon arrival here. After breakfast here, move out in Kushinagar, where Tathagata, “the reciter of truth”, attained Nirvana. Visit the Mahaparinirvan Temple, Ramabhar Stupa and Matha Kuar Temple shrine as a part of Kushinagar tour. In the evening, you can participate in collective meditation here. Dinner and overnight stay at Hotel. Rise up early morning for the breakfast and illustrious opportunity of visiting Lumbini, the respected place for Gautama Buddha's birth and a world heritage site. 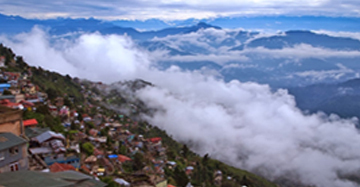 (By bus /obtain Visa to Nepal in advance from home country.) On arrival in Lumbini, move towards hotel for lunch. Visit the Maya Devi Temple, where the lord was born. Also visit the Pushkarni pond and inscribed Ashokan Pillar. In the evening, depart for Gorakhpur via road. And board the train here for an onward journey to Gonda. Dinner and overnight on-board. If you think that all the four major Buddhist sites are over in this tour and the revered Buddhist pilgrimage is complete, then you need to visit Sravasti. This is the next destination enroute the Buddhist train and walk through the monastic complex of Jetavana Gardens. 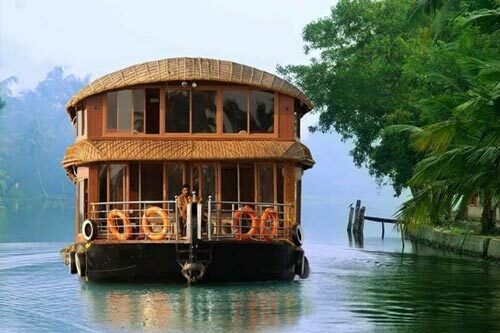 Here Lord Buddha spent 24 monsoon retreats and delivered many discourses. 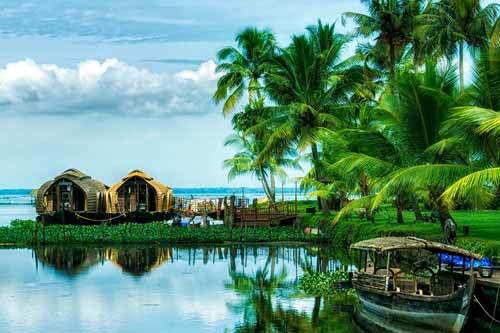 Age-old Stupas, majestic monasteries and several temples adorn the deep rooted Buddhist essence here. After lunch at Sravasti, depart via road towards Gonda. Leave Gonda for Agra in the evening. Dinner and overnight on-board. Highlights of Day 7 - Visit the monastic complex at Sravasti where Lord spent 24 monsoon retreats. 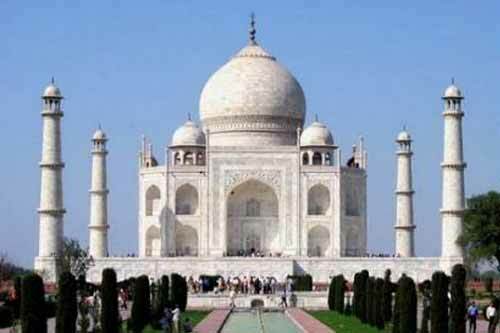 This morning, wake up with a fresh thought of visiting a monument above all emotions and miseries of life and death, Taj Mahal. This is a dedication of an Emperor to his deceased wife and a marvel in its own right. 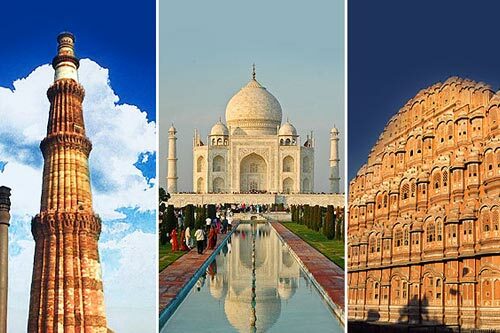 A world heritage site, this monument is a must visit attraction of India. 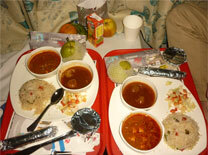 After breakfast onboard, leave the train to visit Taj Mahal. 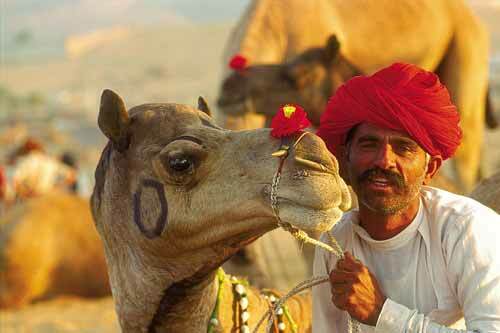 After the visit, depart Agra for Delhi in the afternoon. Lunch on-board. 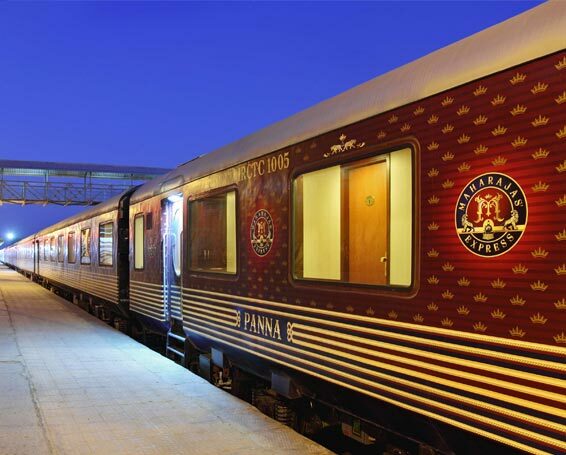 In the evening, arrive Delhi and bid adieu to your companion for eight days, Mahaparinirvan Express. Day 2 – Visit the seat of Buddhism in Bodhgaya. Day 3 – Visit the towns of Rajgir and Nalanda, closely knit with Buddhist heritage. This only Buddhist train in India is air conditioned train exclusively carrying the passengers availing this IRCTC itinerary based train package and does not accommodate other passengers. 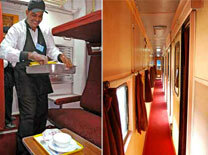 Private Security Guards in each coach are employed in view of safeguarding the passengers throughout the journey. 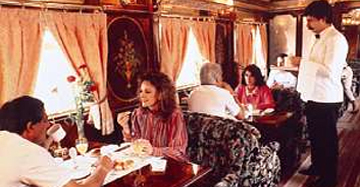 The inclusion of Kitchen Car allows passengers to have their choice of sumptuous hot meals (Veg. / Non Veg. ), snacks and cold drinks. Packaged drinking water, tea and coffee are also available to the passengers in ample quantity. 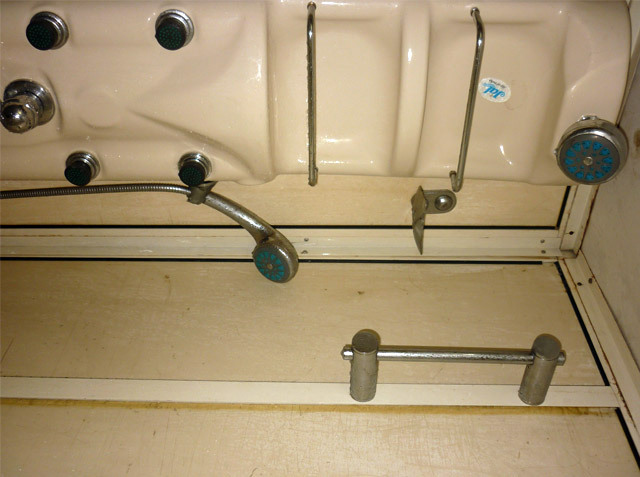 Cleanliness is ensured to the passengers with the presence of clean and hygienic lavatories and shower cubicles within the coaches of the train. 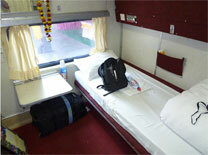 Accommodation in comfortable hotels of the Buddhist Circuit (Bodhgaya and Kushinagar) is included in the package. In case of any emergency, medical support can be provided through an extensive network of Indian Railways medical facilities. 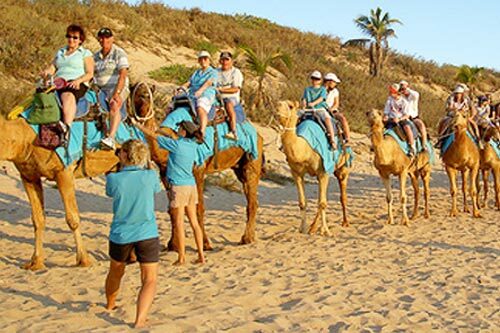 On sufficient advance information, tour guides of various languages can be provided for sizeable groups. 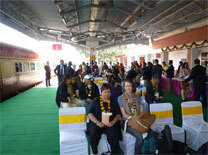 Tourists are requested to obtain a proper Visa for visiting Lumbini (Nepal) before arriving in India. However, IRCTC provides assistance in obtaining Visa at the time of entry in Nepal as per extant rules. Twin sharing accommodation is only in the hotels. On-train accommodation is as per coach configuration. 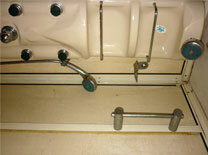 Children below 5 years (without extra berth/seat) free of cost. For single occupancy in hotel, US$200 extra for entire tip or US$50 per night. Additional US$150 per person for confirmed 2 seater couple/cabin (one upper + one lower berth) in AC-1st class. Surcharge of USD580 per person would be applicable for confirmed allocation of two lower berths only in 4 seater first AC cabin. 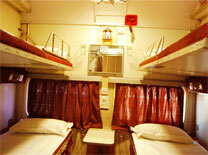 Two upper berths would not be allocated to other passengers. Surcharge of USD580 per person would be applicable for confirmed allocation of one lower berth only in 2 seater first AC cabin. 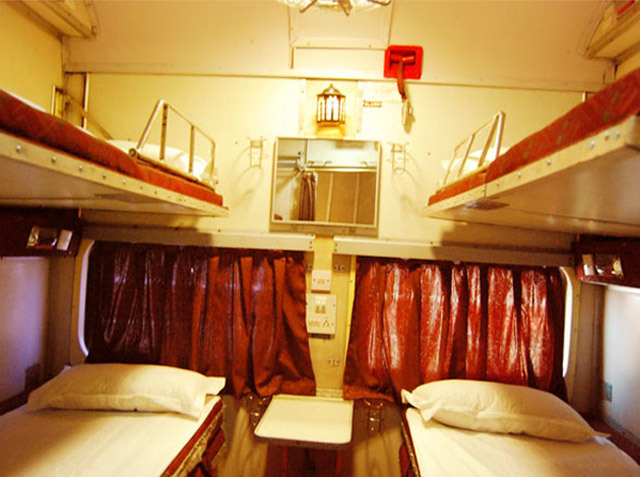 One upper berth would not be allocated to other passengers. 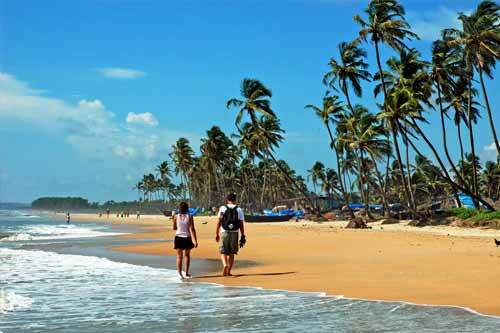 Pre & Post travel arrangements in Delhi are available at attractive rates. 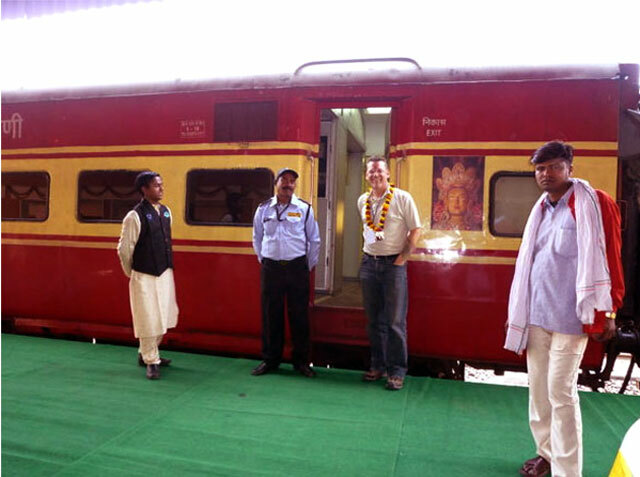 The Mahaparinirvan Express Buddhist train begins its journey from Delhi and takes the travellers directly to the epicenter of Buddhism in Bodhgaya. This seat of Buddhism inspires travellers to achieve the same level of awakening like the spiritual master himself under the revered Bodhi Tree. From there, they are led to Rajgir, where Lord spent many years and gave his enlightening sermons atop the Vulture’s Peak. Nalanda University on the other hand gave knowledge to the world with its enlightening and diversified study disciplines. The next halt from there is Sarnath near Varanasi, which gained prominence as the site of Lord Buddha’s first sermon. Kushinagar and Lumbini, the forthcoming destinations present the contrasting element in Buddha’s life as the former one witnessed his ultimate Parinirvana and the latter saw his birth. The last Buddhist heritage site en route is Sravasti, famous in ancient texts as the site of Jetavana Vihara where Lord spent 24 monsoon retreats. The mega journey of Mahaparinirvan Express comes to a hearty end in the testimony of Agra’s Taj Mahal on the eighth day of the tour.